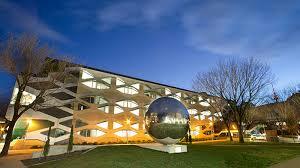 Australian National University is pleased to invite applicants to apply for a research position. The deadline for applying is 30 Sep 2018 . A Postdoctoral position is available in the Neuronal Signalling Laboratory led by Professor Greg Stuart at the Eccles Institute of Neuroscience at the Australian National University, Canberra, Australia. Projects will investigate the integration of information in the cortex, with a focus on how this information is transformed at the single cell level by the dendrites of neurons. The research will be carried out in new state-of-the-art facilities in The John Curtin School of Medical Research. Methods include in vitro and in vivo electrophysiology, single and two-photon imaging, optogenetics and behaviour.